Just a little about me. I'm a wife, mom of 7, "Gigi" of 6 beautiful grand babies, lover of God, adoptive mom, crunchy midwife, protector of normal birth, entrepreneur, essential oils geek, homeschooling mama, creator of funky jewelry, fledgling silversmith, gem and mineral fanatic and lover of all things relating to water. The beach, the lake, rivers, etc. I'm really drawn to water. It feeds my soul. ​When I'm not catching babies or creating homemade concoctions with my essential oils, a good time, to me is sitting on the edge of the ocean in a sand chair with the water lapping at my feet chatting with my awesome family. Other than that, I'm happy as a clam foraging through old funky bits and pieces at flea markets, looking for something to incorporate into my funky jewelry designs. I love all things old and gravitate towards steampunk styles. For the last 25 years, I've been on my own personal wellness journey. I grew up in a semi-typical family eating boxed goods and doing everything conventionally. Once I started having my own kids, it was the first time that I became aware of the injustices done to women in pregnancy...in the name of medicine. I had my first baby in a conventional "medical model" setting in 1979, where I was ultimately convinced that a labor induction with pitocin was a good idea at the end of a very normal pregnancy. May I say...it was NOT a good idea. Pitocin makes for a tough birth and epidurals were not in style back then. I got the loopy drug demerol and, to this day, regretted every choice I made in that labor and birth. Thankfully, my daughter and I survived and with my next pregnancies, I did everything natural. No regrets there! 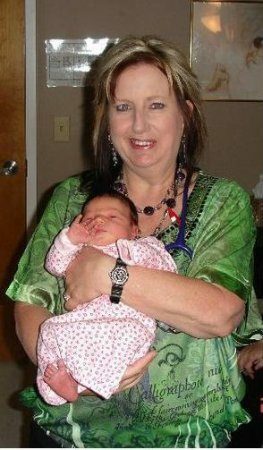 I knew from my very first birth that I was "called" to be a midwife though it took me many years to find my path into my calling. As I traveled my own life path, I found many women who wanted exactly what I sought out for my subsequent births. I also knew that if I did my job well as a midwife and educator AND THEY took responsibility for their own pregnancy wellness path, together we could create the best possible opportunity for them to have the beautiful birth that most women crave. Are these some of the things you want too? Do you want to savor the beauty of pregnancy and feel the vibrancy of growing another person inside? Do you want to feel like the most important person in the decisions affecting your body and your baby? Do you want to be offered ALL of your choices and trusted to make the best decisions for your baby? Do you want to learn to trust your body and trust birth? Do you want to #BirthBold, moving around and flowing with your labor as it leads you? Do you want little, to no intervention and immediate and unhindered bonding with your precious newborn? Do you want a smooth transition into normal & supported breast feeding? Do you want this amazing process of pregnancy and birth to empower you and support a rock-solid bond with your partner? After having caught over 500 babies, I've intimately learned that the most effective way for me to give you your best opportunity for the birth you desire, is to provide excellent information, understanding and resources and TRUST that YOU have your baby's best interest as your priority. This is why I've started this blog. I've been pregnant with it for awhile. It's now MY new baby, and I pray that I may nurture it and raise it up to be a source of love and light for many. Wow! That even sounds like a mama's heart, huh? If you feel the pull of normal birth calling and you desire your absolute best birth, you're in the right place. Whether you are currently in a midwifery-model or in a medical-model of care, our need for "woman-based support" is the same. Allow me to welcome you into our "no-judgement" zone. I hope you find lots of resources to support you on your own wellness journey both inside pregnancy and out. Let's connect! Reach out and tell me what you're looking for and I'll be glad to offer my midwife-y expertise and resources!